A list of our favorite watchdog journalism published this year. As 2012 comes to a close (and awards season approaches), we selected some of our favorite accountability journalism published this year. 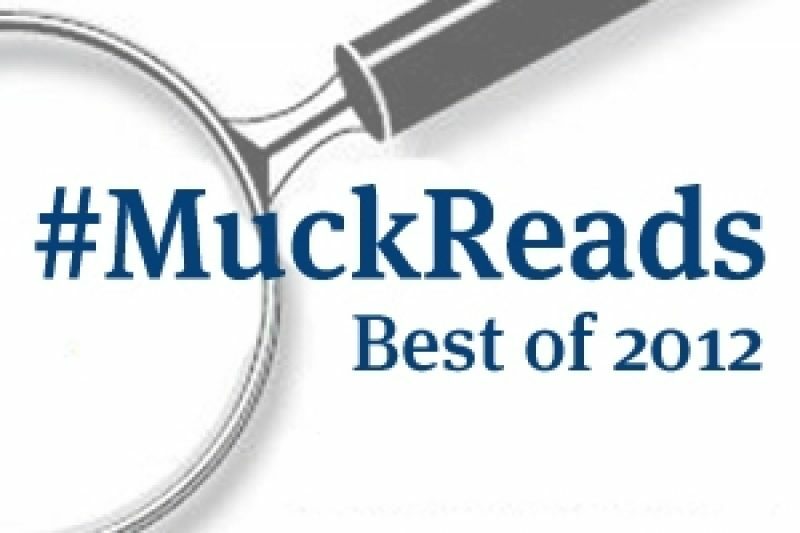 Browse our full collection over on MuckReads, and thanks to all of those who submitted nominations. The New York Times takes a sweeping look at Wal-Mart’s Mexico operations to uncover systemic bribery that helped the company quickly expand across the country. When executives discovered the paper trail and possible cover ups, they shut down the investigation. In December, the Times “picked up where Wal-Mart’s internal investigation was cut off,” and found that its actions went well beyond routine bribes. Lead factories have spewed lead particles and other toxic chemicals for decades, leaving neighborhoods contaminated even after factories have closed. In many cases, the EPA knew about dangerous levels of toxins but did nothing to orchestrate clean ups or warn people living near the old facilities. A deep look into the finances of the family of China's Prime Minister Wen Jiabao, which prompted the Chinese government to block access to the New York Times. The family fortune is tied to state-owned companies and obscured in complex arrangements. Earlier in the year, Bloomberg scrutinized the family wealth of Xi Jinping, expected to become China’s next president, in another story showing the hidden ways China’s elite leverage government connections. “That’s not my birth date. That’s not my name. I’m not dead.” – just some of the errors made by largely unregulated credit reporting agencies found by the Dispatch in a review of tens of thousands of complaints. What seem like simple mistakes can have huge consequences on consumers’ credit scores, because it is difficult, sometimes impossible, to correct them. A powerful narrative of one California family’s struggle to get justice for their developmentally disabled daughter, who was was impregnated by an unknown assailant while under state care. See the full investigation into sexual abuse at California’s board-and-care centers. This joint investigation explores the costly cancer drug treatment market in North Carolina’s largest hospital systems, where some drugs are priced two to 10 times higher than at independent clinics. Hospitals say the soaring out-of-pocket costs are necessary to offset free services for the poor and uninsured; according to a survey by the American Cancer Society, it’s led to nearly one in five patients delaying recommended treatment. It’s been a rough year for Chesapeake Energy and CEO Aubrey McClendon. The company is now under investigation for possibly violating antitrust laws, among other issues, and amidst scandal, McClendon’s personal fortune has shrunk by more than half. You can find a full list of articles here. Suevon Lee was an intern at ProPublica.